Washington D.C. Copyright HouseWife Mafia Media & Publishing. 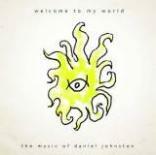 The Official Daniel Johnston Web Site. Hi, How Are You? Boombox, singing and playing piano and chord organ. being "crazy about Mountain Dew." Because that's what people always say to each other. anything else ever can or will.